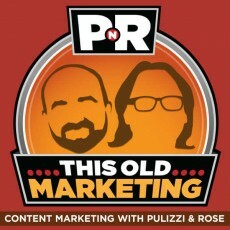 In this week’s episode, Robert and I talk about GE’s new sponsored content play on The Tonight Show and discuss the latest native advertising moves from the Guardian and Yahoo before a new discovery has us revoking John Deere’s title as the world’s first creator of content marketing in this week’s #ThisOldMarketing example. Cleveland Tourism Leaves Its Rock and Roll Roots Behind: (1:30) Robert and I banter a bit about Cleveland, Ohio’s new tourism strategy, which will distance itself from the “Cleveland Rocks” tag line, and share some of our ideas on how cities can dominate by focusing on a content initiative — like Warsaw, Ind., has done (contributing article: Cleveland.com). General Electric Buys Sponsored Segment on The Tonight Show (4:20): GE announced a creative, three-part branded content series, “Tonight Show Fallonventions.” The segments will feature exclusive digital content assets, and will run throughout the year on the late-night show with Jimmy Fallon now at the helm (contributing article: FierceCMO). UK’s Guardian Makes a Novel Native Advertising Move (10:20) Yes, another publisher launches a native advertising program… but this one has a twist: The Guardian will use its current journalist pool to work on paid sponsored content assignments (contributing article: AdWeek). Yahoo! to Use Tumblr as a Sponsored Content Platform (16:30) Yahoo found a purpose for its billion dollar purchase of Tumblr: to function as a repository for branded content (contributing article: AdAge). Native Advertising Faces a $3 Billion Question (21:00) Robert and I give kudos for Forrester’s (and Ryan Skinner’s) stance on the buzz around native advertising (contributing article: Forrester). BuzzFeed Releases its Newsroom Style Guide (28:35) Is this a great new idea by BuzzFeed, or the continued dumbification of the planet, on the whole? You make the call (contributing article: Mediabistro). 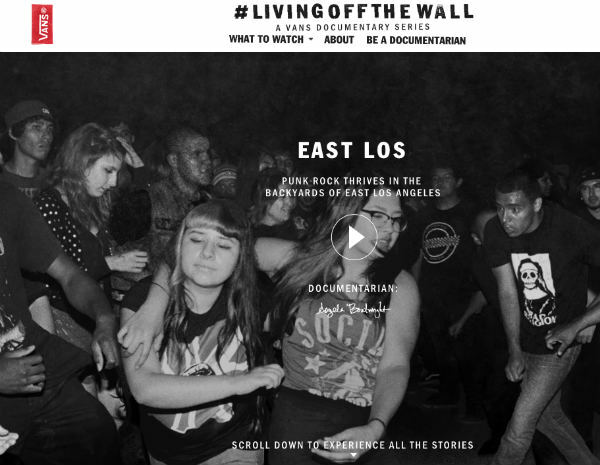 Robert’s Rave: Robert raves about Vans’ documentary series, called #livingoffthewall. It’s worth a look for all content marketers. Joe’s Rant: I rant about Groupon’s decision to honor “President” Alexander Hamilton as a President’s Day spoof. Big news: This week’s #ThisOldMarketing example rocked my world — and my content marketing timetable. Sending a big shout-out to Erik St. Pierre for letting CMI know about a content marketing example that was launched in 1867 — pre-dating our previously cited “first content marketing” example, from John Deere, by nearly 30 years. 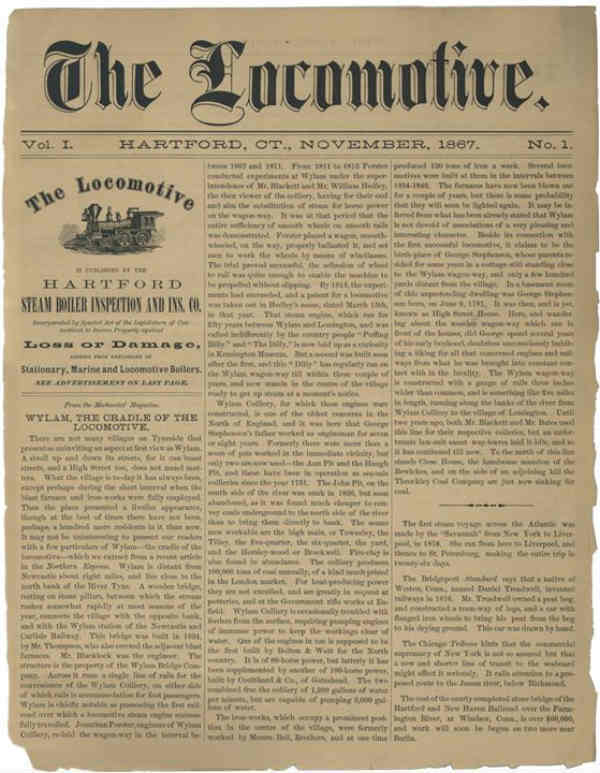 In November 1867, Hartford Steam Boiler Inspection and Insurance Company debuted The Locomotive. The publication provides technical information to help equipment owners and operators manage risk and solve operation problems, and is said to be the country’s oldest company magazine continuously published under the same name. Though The Locomotive was originally distributed in print, it is now maintained online. The object of this paper is to bring before the public from time to time information of a scientific and practical nature that will be both entertaining and useful, and although we shall aim in each number to furnish our readers with at least one good article in some one of the branches of natural science, our chief object will be to discuss practical questions and more particularly, steam power and its applications. We propose to keep a careful record of all Steam Boiler Explosions, together with such facts and circumstances attending each, as we are able to obtain, and the various theories of Steam Boiler Explosions, with all the obtainable information bearing upon the subject, will be placed in our columns. The range of scientific information is so wide, and the field over which it extends, so large, that there can always be found something to interest and instruct. Many valuable suggestions by practical men are entirely lost to the public from the want of some medium by which to communicate them. We hope to make this a paper that will recommend itself to every intelligent person under whose notice it may come, and if we succeed in furnishing light to any, our labors will be amply repaid. The Locomotive is still in existence today and can be found here.